Trading since 1804, Bennetts Timber is still an independent family run business. We take pride in our core values of efficient and friendly personal service providing high quality timber products at competitive prices. We are the sixth generation of the family to run the business which was founded in Grimsby in 1804. Whilst immensely proud of our long heritage in the timber trade, we are fully focussed on taking the business forward by adapting and diversifying to a changing market place and customers requirements. If you are interested in the history of the company see our History section. We pride ourselves on our flexibility being able to meet our customers demands, in supplying both standard and non-standard items. Our on-site sawmill can produce any non-standard profiles promptly. As we are independent we are able to procure our Timber, Sheet Materials and other products from many different sources, this means we can usually find what the customer is looking for, rather than being bound by the purchasing restraints of larger groups. 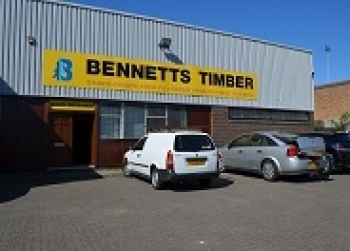 Our friendly and professional sales team at Bennetts Timber has a vast knowledge of the trade and they are able to help customers quickly on any technical issues or advise on what products to use for a particular purpose. For example, we can offer our assistance to customers building a deck for the first time, through to architects specifying materials for large construction projects. For profiles of our staff see our People section. Bennetts Timber welcomes any enquires, no matter how big or small, and we always try our best for all of our past, present and future customers. Do not hesitate to call us today on 01472 350151. Over the past 20 years Bennetts Timber has specialised in External Timber Claddings to both the commercial and domestic markets. 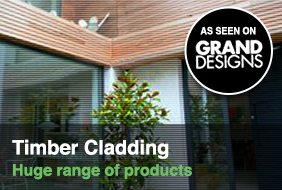 We have a large range of standard profiles and can also design bespoke profiles to suit our customers specific needs. Our experienced sales team can advise on the best profiles to use for the applications proposed, together with any specific fixing advice. At Bennetts Timber we hold stocks of material used for external timber cladding, such as Western Red Cedar, Siberian Larch and Thermowood. We can also source non-stock species such as European Oak, homegrown larch and non-native species such as Cumaru and Iroko within a few days. Our milling facilities have been updated with two Weinig 6 headed moulders, that are used specifically for production of cladding. This significant investment has already improved our lead times and quality of finish. We pride ourselves on our flexibility being able to meet our customers' demands, in supplying both standard and non-standard items. Our on-site sawmill can produce any non-standard profiles promptly, ensuring that work on the construction sites that we deliver to is not compromised. Our experienced sales team at Bennetts Timber has a vast knowledge of the trade and is able to help you on any technical issues or advise on what product to use for a particular purpose. If, on the odd occassion that we don't know the answer to your question, with our industry wide connections we should be able to find out the answer for you. Whatever your query, from building a deck to specifying materials for large construction projects we are able to help. Our Grimsby site is ideally situated close to the busy Humber ports where most of our timber is landed. This prime location reduces transportation times into our facility and consequently on to our customers. Our UK wide delivery service is a key part of the business. We have lorries with Hiab facilities for off loading large orders, smaller lorries and vans for those restricted access sites or residential property. In addition to our own transport we work in conjunction with a well known courier for smaller items and a nationwide distributor for palletised orders.